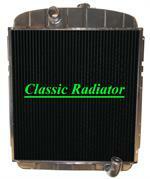 Aluminum radiators for classic GM cars and street rods. 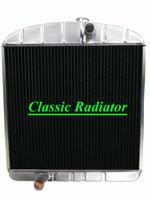 We carry radiators for many vintage GM models like the Chevelle, GTO, 442, Skylark & Chevy truck and more. 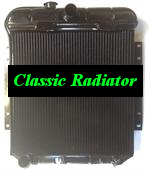 Shop for classic GM radiators. 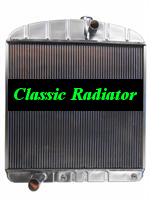 Find copper radiators for your General Motors classic car or hot rod. 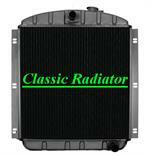 We carry exact fit radiators for many GM models like Chevy, Buick, Caddy, Oldsmobile and Pontiac. 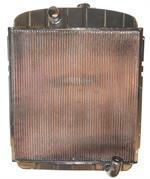 View our vintage GM copper radiator inventory. 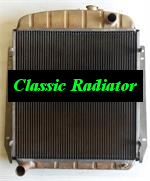 Find radiators for the Firebird, Camaro and other General Motors classic cars and street rods. 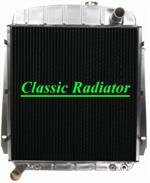 View our GM Griffin aluminum radiator inventory. This radiator has 2 rows of 1" tubes. It has a trans cooler. It will cool the original 6 cylinder or a stock to mild small V-8. It has a 1 1/2" top neck to properly fit a V-8 upper radiator hose. Lower neck is 1 3/4" 1 Year Guarantee Made in USA!! This radiator has 2 rows of 1" tubes on 3/8" centers. It cools the same as a 4 row copper core. Has a trans cooler. Upper neck is 1 1/2" diameter. 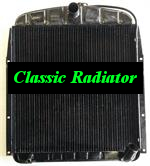 Suitable when installing a V-8 in a 49-54 Chevy passenger car. 1 Year Guarantee Made in USA! !